Small house plan CH59 design to small lot with three floors. 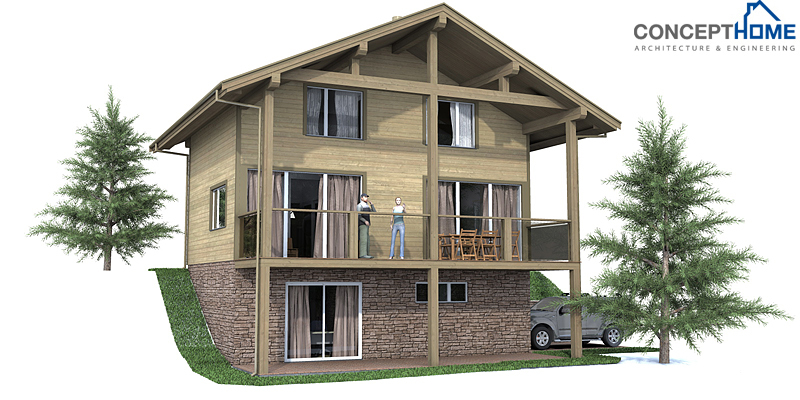 Small house plan to the sloping lot. Open living area, three bedrooms. Small home design with affordable building budget.